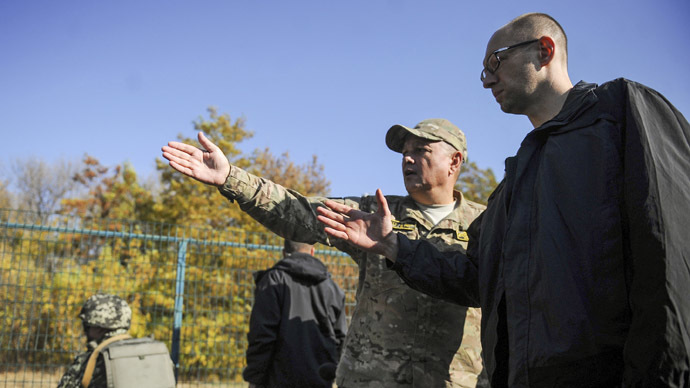 Kiev authorities have approved a major new program to isolate the country from Russia by constructing an enormous barrier, equipped with anti-tank ditches and remote controlled weapons stations. They intend to spend $200 million on the grand plan. On April 14, the Ukrainian cabinet approved a plan for technical arrangements on the Russian-Ukrainian border for 2015-2018. The plan includes a project initially called ‘The Wall’ or ‘European bulwark’. It’s estimated to be worth 4 billion hryvnias (about $US200 million) and involves the construction of a barbed-wire fence with 17-meter high steelwork turrets. There will also be four-meter wide, two-meter deep antitank ditches, a lateral route and a drag road, remote combat modules, fortified sectors, observation posts, CCTV cameras, communication towers and alarm systems. The plan is to complete construction within three years, yet previous intentions to erect a barrier on the Russian border floundered due to Ukraine’s lack of cash. Initially, the idea of digging a ditch on the Russian-Ukrainian border was voiced by the former governor of Dnepropetrovsk region, Ukrainian oligarch Igor Kolomoysky. He even funded a military field engineering vehicle that created a ditch on the border with Russia. The idea was backed by President Petro Poroshenko and Prime Minister Arseny Yatsenyuk. In September 2014, Yatsenuk announced plans to build a 2,295-kilometer long “real border” with Russia. The ground section of the border is set to feature a ditch at least four meters wide and two meters deep, equipped with electronic surveillance systems, towers and other structures. The cost of the project, according to Yatsenyuk, was estimated at the time at €66 million (nearly $86 million). The length of the Russian-Ukrainian border is nearly 2,500 kilometers, which is comparable to the US-Mexican 3,141 kilometer border that is secured with a metal fence and intruder detection sensors. Washington has spent billions of dollars on the Mexican border barrier, and will spend tens of billions on its maintenance over the next two decades. 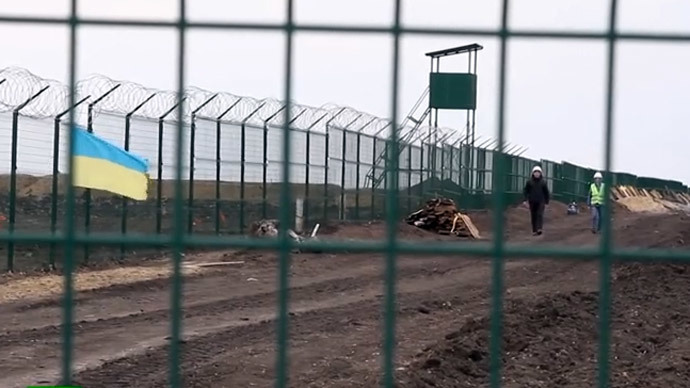 Even if Kiev authorities manage to allocate funds for the construction of the ‘great fence’, the costs of its maintenance and border patrols will be prohibitive.